Black Friday Deal: Use this link to get a bonus Harry Potter item with any length subscription! More details can be found here! My 90’s inner-child was LOVING a few items from this month’s box! On top of the information card, this also comes with a mini magazine. 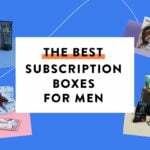 Inside, you’ll find stories, interviews, and fun gift guides. Isla Nublar Shirt – Value $15? This month’s exclusive shirt shows off Jurassic Park in an almost postcard-like Isla Nublar graphic. I definitely love the inclusion of the ‘Life finds a way’ quote, as well. I can remember going to the theater when this first came out and just being astounded by what I was seeing – it’s still one of my best movie theater moments! Epic Enamels Pins Kom-Bot Edition- Value $5-10? I just had to stick with my 90’s childhood and move along to this month’s pin! I mean, once again, kudos for the best packaging in subscription boxes. I was a Genesis kid growing up, so this is tugging the heartstrings – and look at ‘Geek Fuel’ in the classic SEGA seal. All kinds of perfect. Oh, my. The greatness continues when you reveal the pin. I remember Mortal Kombat being banned and restricted, and eventually lead to the rating system we have now. I can also remember how much of a blast it was to play at home or at the local roller rink – when those still existed. How cool is this inner packaging? It’s the perfect replica of the in-game battle! As for the pin itself, got the Scorpion version. Honestly, when the packages are still cool, I just keep them in the package! Recently, I’ve received a number of Incredi-Build models – but none as good as an AT-ACT! All Incredi-Build kits arrive with the pieces, a manual, and a book that revolves around the subject you’re building. The book is a fun little retrospective on these Imperial machines. The pieces arrive in a wood grid. Each piece is perforated and easy to pop out. In the ned, you’ll have yourself a little AT-ACT after about 40-50 steps. It took me about 20 minutes or so to put together – definitely the easiest build I’ve had from Incredi-Builds. If you like them – there are tons more to try! This month’s Deadpool item is from Funko’s Mopeez plush line. These have a weighted bottom that allows it to sit upright. It’s a puzzle-solving action-adventure game where you guide a flock of birds and battle monsters. It’s a more laid-back game – which is something I enjoy every once in a while! Food Fight Gift Wrap – Value $10? Finally, every year Geek Fuel like to include some themed gift wrap! This year’s wrap is themed around some famous geeky foods – Homer’s donut, Ninja Turtles and pizza, and Bob’s Burgers! Just in time for gifting! 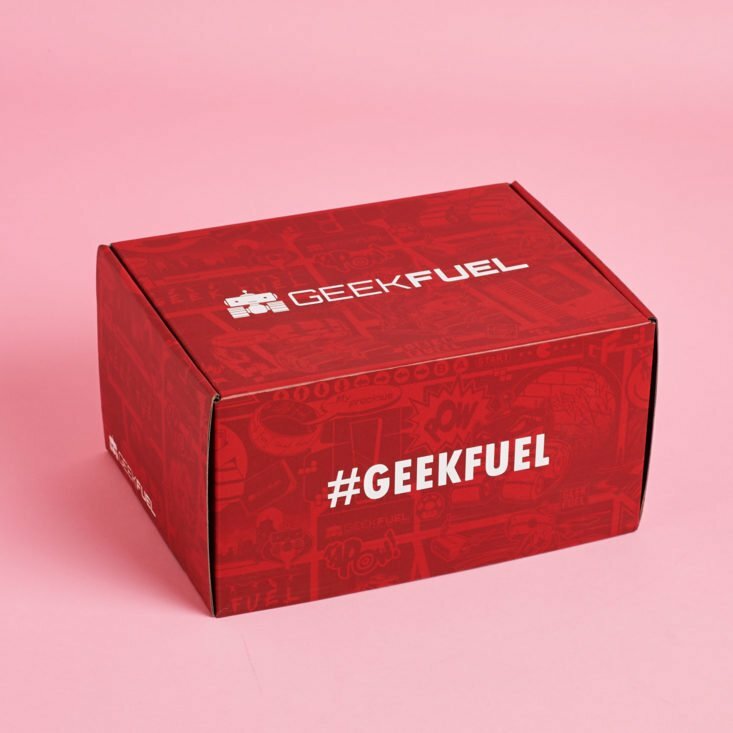 Verdict: I’ve been loving Geek Fuel all year long and the momentum has not stopped! I’m always just over-the-top excited to find out what type of packaging they’ve included each month. I still have my Eggo box, Back to the Future 2 bag, and numerous pin boxes collected – they’re just too fun to just get rid of! And, of course, the items always hit the value – I can’t ask for more! 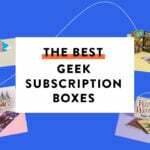 What did you think of the November 2017 Geek Fuel?